After checking into the Le Apple Boutique Hotel KLCC, J and I took the GOKL CityBus (green line) from KLCC to Starhill Gallery to look for Restoran Beriani Asif that’s located in the Bukit Bintang area. 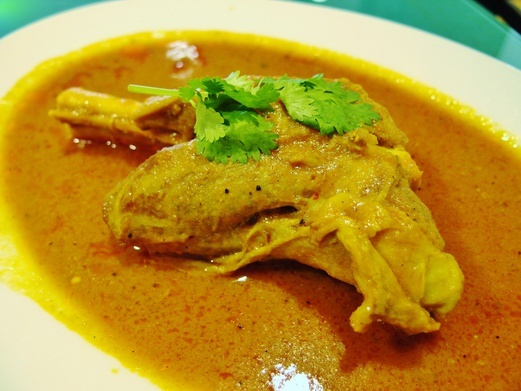 I was recommended to try out this restaurant by a fellow blogger whom had raved about its lip-smacking lamb shank masala so we made our way there, hoping to fuel ourselves up with a good lunch just before J headed to office. Upon alighting at the Starhill Gallery stop, walk towards the direction of Fahrenheit Suite (on right hand side of Starhill Gallery) till you see Jalan Gading and walk all the way down this road till you see Jalan Padang on your right. 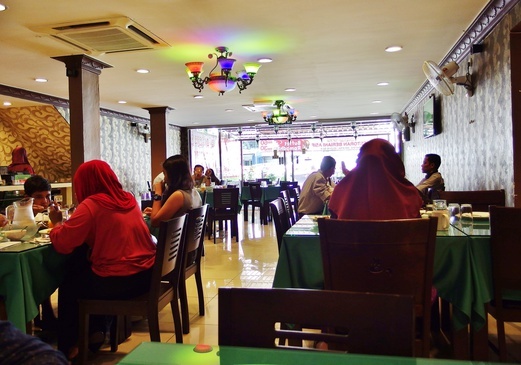 Walk down Jalan Padang and you will see Restoran Beriani Asif that is located on the ground floor of a row of housing flats on the right side. While walking along Jalan Padang especially on the middle pavement of the carpark area, do watch out for uncovered manholes. Dangerous! 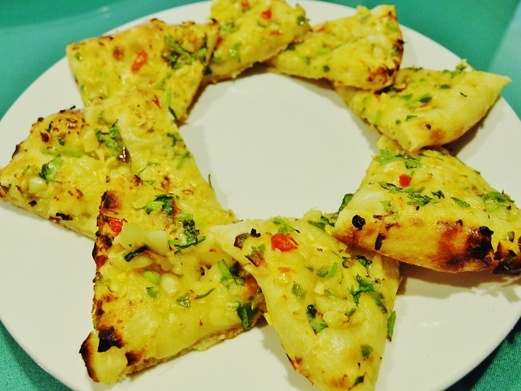 Restoran Beriani Asif is a casual fine-dining restaurant that serves up Pakistani & Indian cuisine. Click here to check out their menu. The moment we entered the restaurant, we were quickly ushered to a table. The air-conditioned environment was a cool respite from the blazing heat. 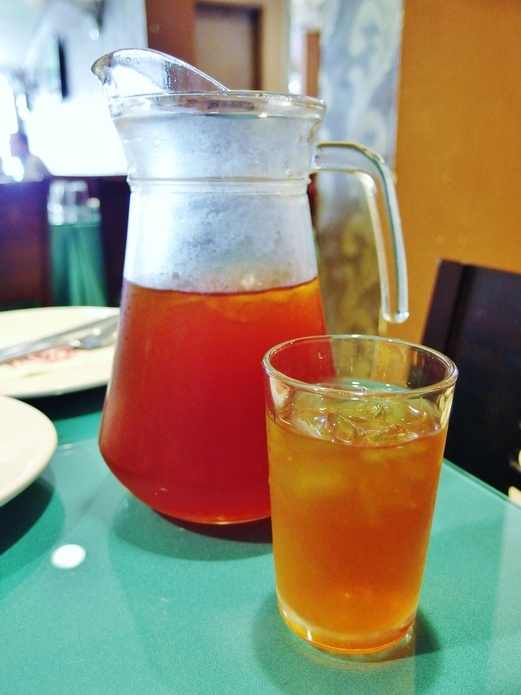 We ordered Teh O Ais (RM3 per glass/RM10 per jug) which was the same as Teh Oh Peng (iced tea with sugar & without milk). Do note such freshly-made drinks are typically heavily sweetened in most food establishments here in KL so if you prefer your drinks to be less sweet, just tell them ‘kurang manis’ following your order. For example, ‘Teh O Ais Kurang Manis’ or ‘Kopi Ais Kurang Manis’. We had to have a jug of refreshing iced tea which yielded probably about 5-6 glasses. Worth it if you can drink a lot or if you’re dining in with a few other people. It took quite a long time for food to be served even though there weren’t a lot of customers but at least all dishes came out at the same time. We had the Matar Paneer (RM15) which was incredibly moreish. 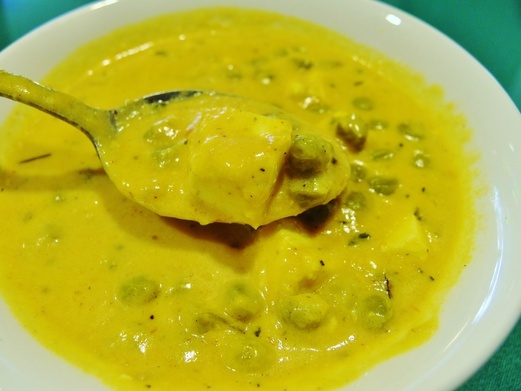 Eight pieces of paneer (curd cheese) and a load of peas cooked in a tomato-based sauce that tasted so rich and creamy. Yum. 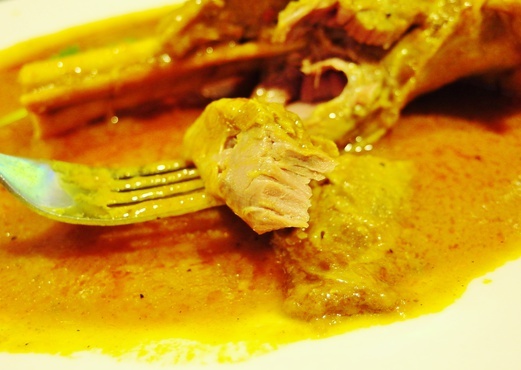 The Lamb Shank Masala (RM22) was the real highlight of our meal. It wasn’t very huge in size but it was very meaty. The meat was lean but very tender; it fell off the bone very easily. We didn’t even need a knife to cut this up. There wasn’t any gamey taste or smell at all. The sauce was spicy and delicious just like a deeply aromatic curry. We ordered the Plain Beriani (RM5) which was good for 2 persons. 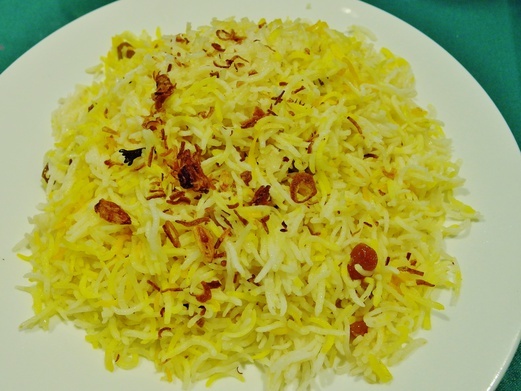 Fluffy basmati rice with well separated rice grains and aromatics. Perfect carb to go with the matar paneer and lamb shank masala. This location has been closed for a few weeks But they have a new branch at M Suites on Jalan Ampang. The telephone number for that location is 0126241099. Maybe have a miscommunication here. 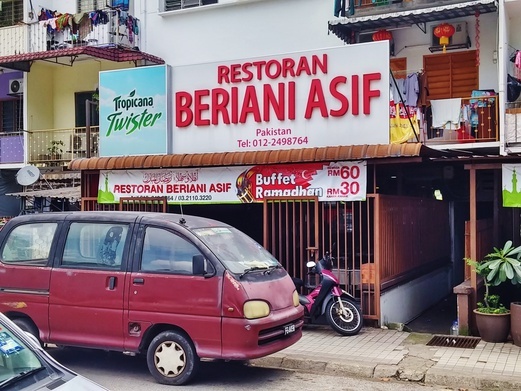 Restoran Beriani Asif still open at Bukit Bintang. Not move anyway . Pls contact the owner for information.